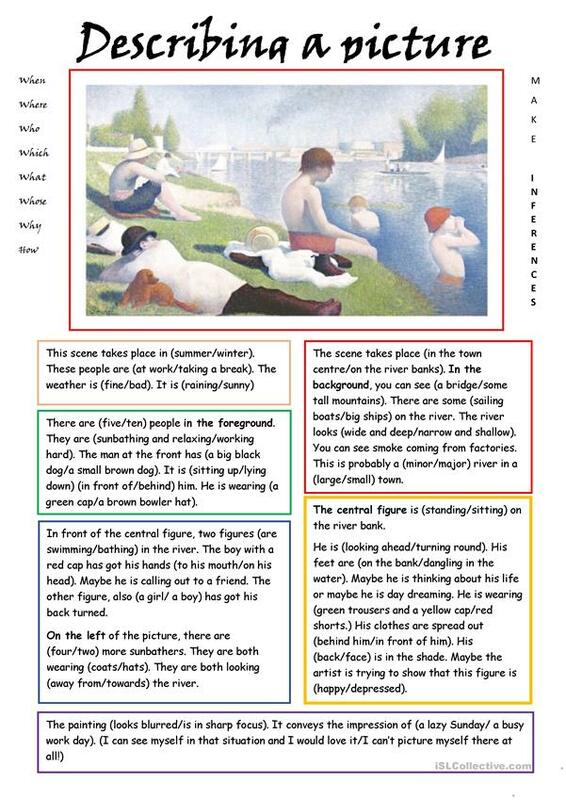 The first picture is 'The Bathers' by Seurat. The students choose the correct alternative in the brackets. 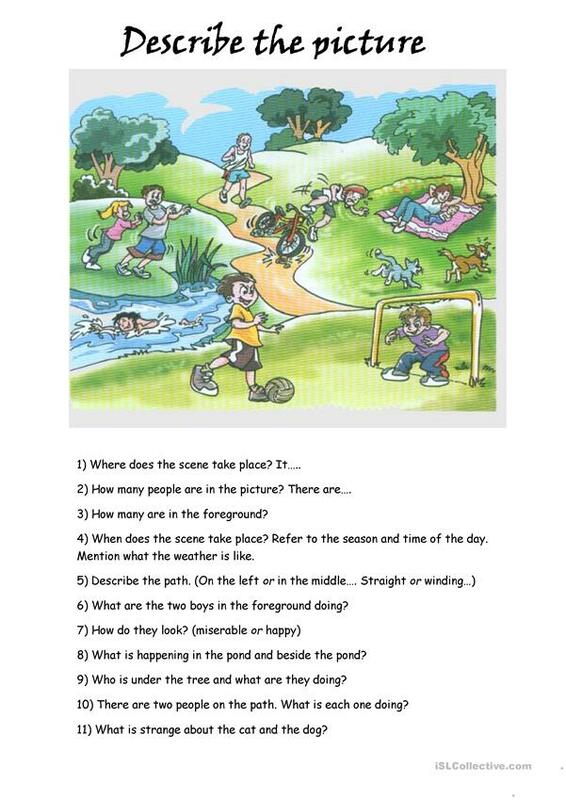 On page 2, a picture for them to describe, with prompts. Remind them to make inferences, using 'maybe' or modals. This downloadable printable is a great resource for high school students at Pre-intermediate (A2) and Intermediate (B1) level. It is great for consolidating Present continuous (progressive) tense in English, and can be used for enhancing your learners' Speaking and Writing skills.